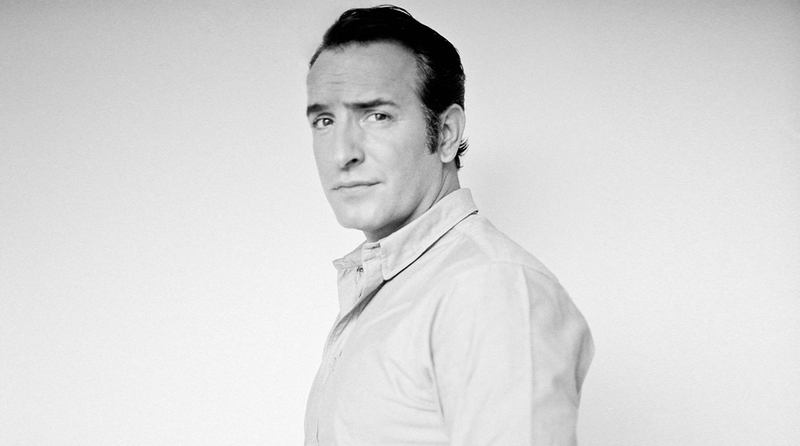 Jean Dujardin is one of the most cherished actors in France who first made a name for himself doing stand-up in Parisian comedy clubs. In the late ’90s, he co-founded a popular sketch comedy troupe called Nous C Nous and made a sizable impression in his native homeland by garnering multiple wins on a TV competition series Graines de star. It wasn’t long before Dujardin’s solo career started taking off when he landed a starring role on a hit sitcom Un gars, une file. In 2004, the funnyman took on his first dramatic role in a feature film, Le convoyeur, and embarked on a lasting collaborative relationship with writer/director Michel Hazanavicius playing a suave secret agent in the buoyant spy spoof OSS 117: Cairo, Nest of Spies, which earned Dujardin a César Award nomination in the category of Best Actor. The Artist, which made its world premiere—in competition—at the Cannes Film Festival earlier this year, reunites Dujardin and Hazanavicus. Set during the twilight of Hollywood’s silent era, the film tells the story of George Valentin (played by Dujardin), a charismatic screen idol at the peak of his popularity who’s unwillingly confronted with the sudden upstart format of talking pictures. George faces a choice: embrace sound like Peppy Miller (Bérénice Bejo), his love interest and a rising starlet, or risk a slide into obscurity. Seamlessly mixing comedy, romance and melodrama, The Artist is itself an example of the form it celebrates: a black-and-white silent film that relies on everything but the spoken word to weave its singular spell. Anthem sat down with Dujardin in the Library Lounge at the Loews Regency Hotel in New York to discuss the allure of silent films, his unconventional “American” career path in France and the value of being “contre-courant”. The Artist is now playing in select theaters. How was your New York Film Festival experience? The reception was warm and everyone was very welcoming. We also had a SAG screening last night and the film received a standing ovation there. It feels like a different profession when you’re promoting a movie. It’s always a wonderful gift when people give you such a wonderful response. We’re getting great reception here in America and it has actually been warmer here than in France. The French tend to hide their enthusiasm. The reception was quite strong at Cannes as well. Cannes was wonderful. There was a great press screening in the morning and there was a 15-minute standing ovation in the evening at the gala. The audience was attentive and kind, which I appreciate. They so clearly wanted to love the movie. It was screened on one of the biggest theaters in all of Europe and it was truly magical. 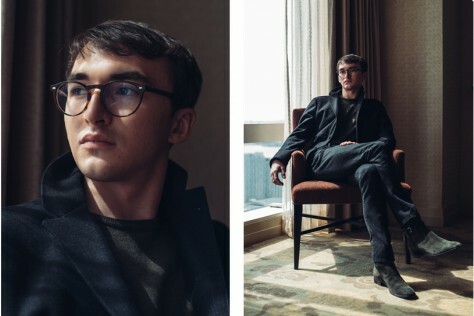 I would imagine that winning the Best Actor award at Cannes would open up a lot of doors. Maybe a little more. I’m here, aren’t I? [laughs] I have more contacts now than before, but I’m taking it slowly. Nothing is really decided yet in terms of my future work. I’m going to stay as I was before and take it one project at a time. I don’t want to fill up the next five years with projects, but if I’m in a position to have more freedom as an actor, I’ll of course take it. You previously worked with Michel [Hazanavicius] on Mes amis and OSS 117. How has your creative partnership evolved over the years? It’s almost the same now as it was in the beginning because we work the same way. He does a lot of preparation and I do that as well. We like to have fun and it’s never painful to make movies with Michel. We have the same vision for movies and always go in the same direction. The only thing different with The Artist is that we’re working on a melodrama whereas the other two collaborations were comedy-based. You started out doing stand-up, didn’t you? That’s true. I had a one man stand-up comedy show on French television. I do very much have an “American” career path in France. If you do TV in France, you stay on TV and you can’t really transition to cinema—it’s very rare to do that. I had the great fortune of being able to do it. I made the right choices and knew when to leave TV, which was at the height of my career, and the doors opened to cinema. French people still know me more as a comedian, but I’m making lots of different kinds of movies that include both dramatic and absurd roles. Do you think your fans found it jarring when you took on a serious role for the first time? The audience is never jarred or surprised, it’s more the press that talks about the fact that it’s surprising. The press doesn’t always let you change your career path and they like to box you into a specific persona. This is what the press does in France. They have a word in French, “contre-courant,” which means going against your profession. The profession of an actor is about trying everything. The audience understands this concept and know that actors should be given room to explore everything. I proposed so many different things to audiences and they have continued to follow me. What was attractive to you about The Artist? I wanted to work with Michel again, firstly. I had known about Charlie Chaplin and Buster Keaton, but weren’t as familiar with the other silent film stars. When I watched these kinds of movies, I found them very touching, modern, minimalist, and they allowed me to witness a great range of acting. I often work with my body to create my characters and felt at ease with this film. I loved that I could act using just my eyes and body language. I found all of that attractive. What did Michel have you do in the audition? He wrote this part for me, so there was no audition process. Michel had been thinking about making a black-and-white silent film for close to a decade as I understand it. You’ll have to ask him about that. I know that all the directors he likes come from silent films. I’m sure he probably fantasized about making one for a long time. When we were shooting the OSS sequel, we started talking about working on The Artist together. It was just an idea that he was throwing out there. Were you ever worried that this film might come across as some sort of a gimmick? What did you take away from working on this particular film? There are so many things. There were incredibly joyous moments during the production. I was as happy as my character is at any given moment on the screen. The laughter and smile of George Valentin is mine in those moments. I was so happy to take on this role. We filmed it in Hollywood and it felt like I was given this big toy to play with. I felt very lucky and I knew that in those moments. Some of my favorite scenes are the premiere with Bérénice [Bejo] and being onstage with my dog. How do you navigate your acting career? Instinctively. I want to leave open spaces as much as possible. I’m always waiting for a good surprise or a special meeting of the minds with directors. I don’t have a career plan in mind or a set trajectory. If I’m calculating, I know I’m not being honest. Maybe I’m naïve to think this way, but I want to remain fresh with my choices as an actor. If I’m bored, you’ll see it on the screen. If I have fun, it’ll show too. Will you continue to work in Hollywood? There are some offers on the table, which are more or less interesting. It’s a little early to tell. What is being offered? Are they trying to pigeonhole you? A little bit, yeah. The roles are very French, obviously. I’m not completely naïve! [laughs] They’re offering me a lot of biopics, but they want me to be the French lover or the bad guy for the most part. I’m happy in France, so I don’t really need more. I’m very happy with what I have. If a wonderful project comes my way, I’ll do it. I don’t want to put everything on America or France because I’m capable of doing both. There are many actors like myself in America. I care most about interesting directors and characters to play. To make a film and cinema is a different thing. I want to make cinema. I saw that you’re going to be directing something called The Players. What can you reveal? It’s about male infidelity. It’s something I’ve been wanting to do for a while. It’s made up of skits, and each skit has a lead and side character. We came up with the characters for each skit and brought in some other people to write them. There are 6 directors involved, each person with a different perspective. It’s over-the-top comedy.